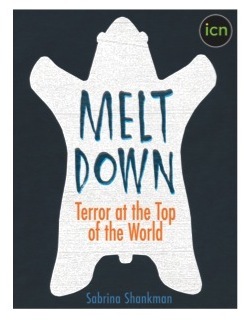 Here’s an excerpt of my just-published review of “Meltdown: Terror at the Top of the World” (the story of the July 2013 polar bear attack in Labrador, Canada), adapted from my November 2014 blog post. 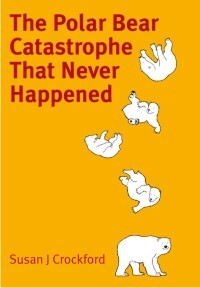 The review is called “A Harrowing Encounter” and it’s just out in the Spring 2015 issue of RANGE Magazine. 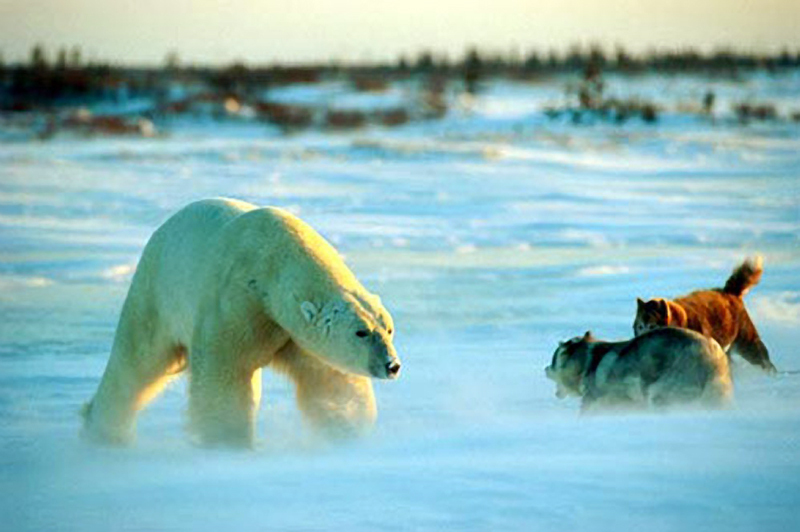 In the photo above, a polar bear approaches Brian Ladoon’s Canadian Eskimo Dogs in Churchill, Manitoba – in this case, unlike the hiker described in “Meltdown,” there was a happy ending. Norbert Rosing photo, from this Daily Mail article, 2008 (for more, see also “A priest of dogs and bears” from 2013 and cool video here). 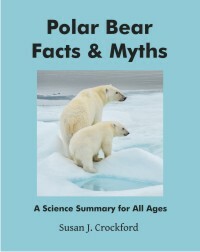 The polar bear attack that was all over the news last summer is now an ebook about global warming. 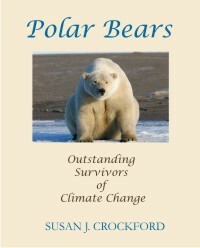 The Maine lawyer who was mauled by a bear while on a hiking trip to Labrador (and lived to tell the tale) has allowed his story to be co-opted by an activist journalist to promote fears of sea ice decline, polar bear extinction, and man-made global warming.